Here is another electronics quiz for you to try. It covers the functions of resistors in various circuits. 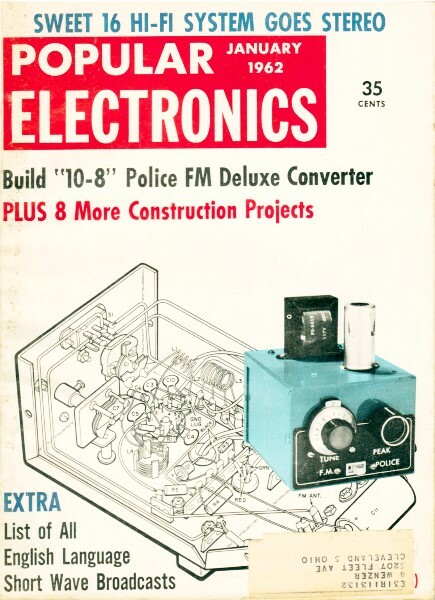 The quiz appeared in the January 1962 edition of Popular Electronics. I got 100%, just for the record. Having worked with tubes helps with figure B since it does not really have a direct transistor equivalent, but by process of elimination you can get it. Resistors find more uses in electronic equipment than any other component. 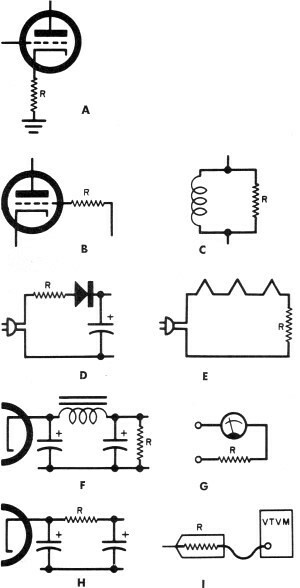 See if you can match the functions of the resistors listed at right with the letters (A through I) representing their applications in the diagrams at left.